Here is our photo gallery. The photo's on the left are of the regatta from the past two years. The photos on the right are of Medix. The crowd gathers at STOP #3. This is where things start to get rowdy. Here is Trice-Dog getting thrown. 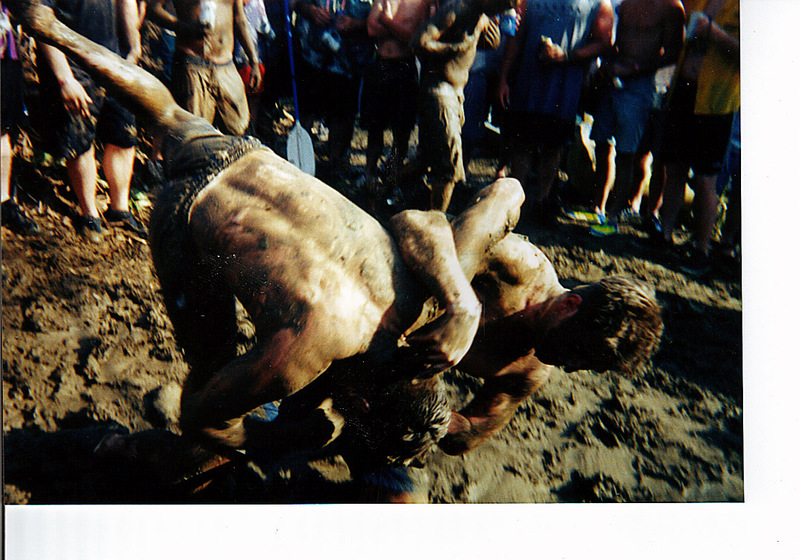 This is the annual mud-wrestling competition at PIT STOP 4. You wrestle until someone gets a takedown... winner stays on, of course. Actually Trice fought off this attack and came back for a 2-point takedown. The Crowd was not happy with referee B52's decision, but the opponent never had control. The raging rapids takes another boat down! Actually, this was the only difficult part of the entire trip. It's always between PIT STOP's 3 & 4, so you barely know what you're doing when you come upon this tough spot. Plan on getting wet... it's a guarantee.